As an important part of remote control dice system, electronic dice board makes a big difference for players to win dice games. It can be installed on the underside of dice table, you could work it with remote dices and a suitable bowl accord with this special electronic dice board. Using this magic electronic dice board in the dice games, you can press the buttons on the remote controller, when the electronic dice board inducts the positive or negative of the remote dices, it will make them jump to the number you want. More approaching to center of the board the dice game results will more accurate. 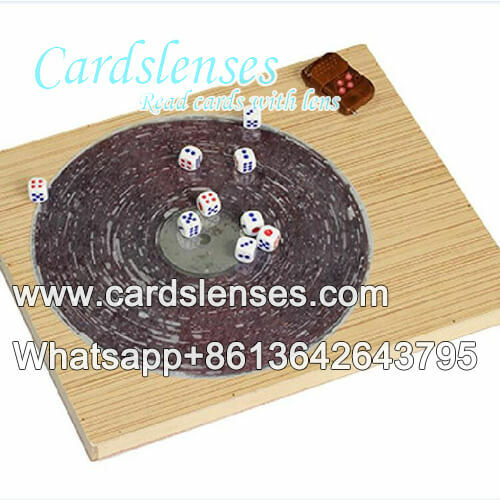 There are many size electronic dice desktops for sale, 10*10cm, 30*30cm, 50*50cm and so on, and customize remote control dice table with electronic boards is available.